The German Air Force had to scramble Eurofighter jets to intercept a “non-responsive” Boeing 777-300ER, carrying 330 passengers and 15 crew, after air traffic control lost contact with the cockpit. The Jet Airways flight 118, bound from Mumbai to London Heathrow on February 16, had been uneventful with no issues in communication handover between air traffic control (ATC) centers up until that point. According to the Aviation Herald, the issue began when communications were being handed over from the ATC in Bratislava, Slovakia to their colleagues in Prague, Czech Republic. 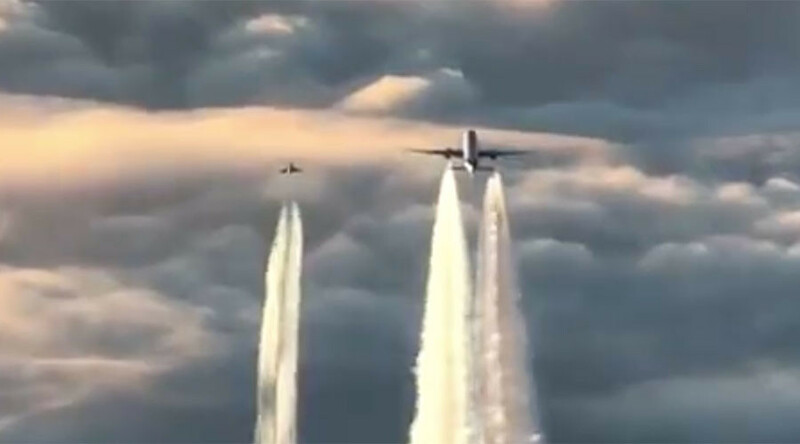 Another flight was in the air in close proximity to the intercept and the crew managed to capture some incredible footage of the scene, which took place to the northeast of Frankfurt, Germany. Thankfully, radio contact was reestablished before the situation spiraled out of control and the plane was able to land safely at its final destination in London “without incident,” according to a statement from the airline, as cited by flightradar24. “As a precaution, the German Air Force deployed its aircraft to ensure the safety of the flight and its guests,” the airline said, adding that it has “duly reported the matter to the concerned authorities including the DGCA,” the Indian Directorate General of Civil Aviation.